This is Oriana. 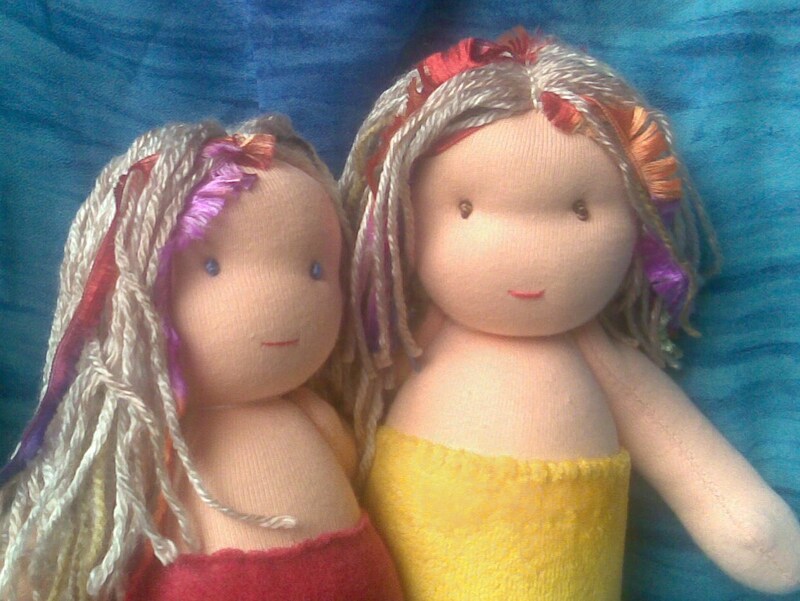 She was made by Liz from a Lavendilly Doll Kit, and her new mummy is Olivia. Orianna has legs with some very cute feet at the end of them, but they are hidden by her new mermaid outfit, that was hand-felted and handsewn by Liz. 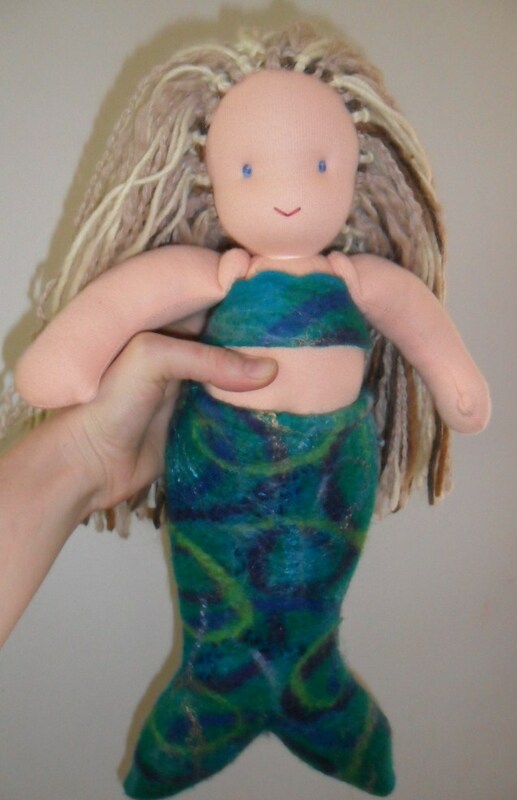 It is a great way to transform your doll into a mermaid, isn’t it? 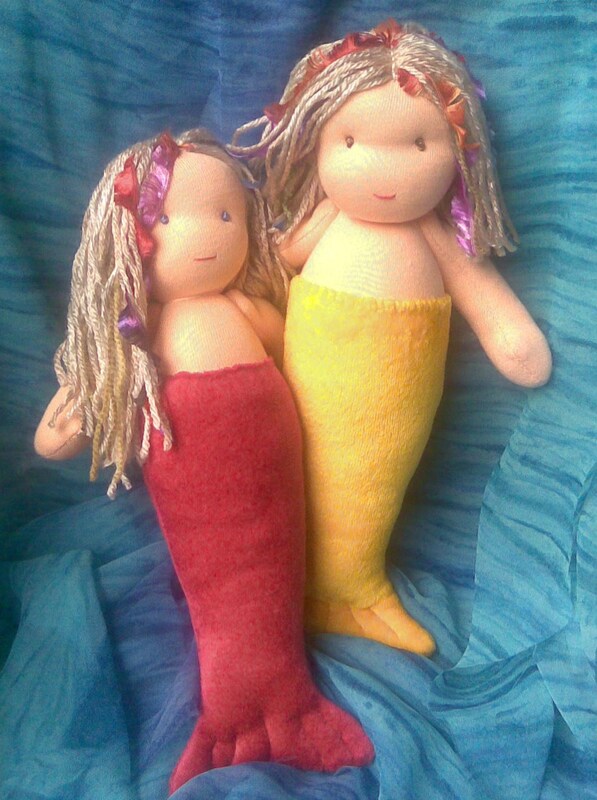 I love these mermaids.. My daughter has a thing with all things mermaid so I think I know what one of my next projects will be. I just hope mine will be half as beautiful as yours are! Thank you so much! The mermaid skirt is a great idea to convert a regular doll into a mermaid, isn’t it?